Host Greg Hackney got together with Bernie Reed, the owner of Reed’s Metals, for the opportunity to explore a spot he’d never fished. 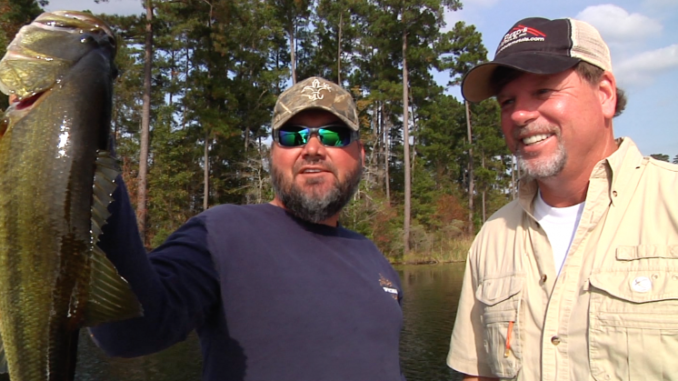 In the episode, Hackney runs through a variety of fish-catching methods, but the one that worked best was dropping a jig into deep hydrilla. Tune in to see what Hackney used, and how he caught a nice stringer for the day. After the fishing trip, Hackney and Reed headed to the flagship location for Reed’s Metals to check out the production facility.